"Piece by Piece" is Kelly Clarkson's emotional new song about parenthood, and she barely made it through her performance when she returned to American Idol two weeks ago. Yes, I'm still drying my eyes. But, Kelly Clarkson is, in my opinion, STILL THE VERY BEST pop star (and so much more). Kelly exploded onto the scene in a manner that was completely new and uncharted -- she could have melted down over the speed at which she went from 'normal' to 'celebrity' at any moment, but she never did. At least, not publicly. She cranked out hits, she has an undeniably amazing voice, she has grace and charm, she's intelligent, she's pretty, she's resilient and she's got a great sense of humor about herself. She's had an incredible career that began at pop, then evolved into adult formats and then, in an arguably completely new endeavor, she's had great success in the world of country music. After fifteen years, though her personal life has changed -- she's married and a mom, and pregnant among other things, everything Kelly is still completely Kelly, and this exceptionally powerful performance (which I did not see when it first aired, by the way) led to a sales explosion of her new song and, as a result, an explosion back onto pop radio that most artists who've been around for 15 years -- some, much less -- would spend hundreds of thousands marketing their "comeback" in the hopes of achieving. Kelly just sings, and BOOM.  97.5 NOW FM is the only station in Lansing playing "Piece by Piece," and we've played it, to date, less than 25 times, and it is the #1 selling song in Lansing. And the sales story in Lansing mirrors what's happening just about everywhere. Because Kelly Clarkson, that's why.